The average urbanite spends 10 hours per month doing laundry. Cleanly is a laundry and dry cleaning delivery service that solves this headache with a single click. Scheduled from their simple app, Cleanly picks up, cleans, folds and then returns your clothes all within 24 hours. Our software also automates the entire logistics chain - this efficiency allows us to stay price competitive with the local cleaners at just $1.50 / lb. 1 30% monthly compound growth for 12 months. 3 76% customers order more than once. $985 avg. customer revenue / year. 4 $1.50 per pound for regular laundry. 24 hr turnaround. 5 US laundry service market: $14B. 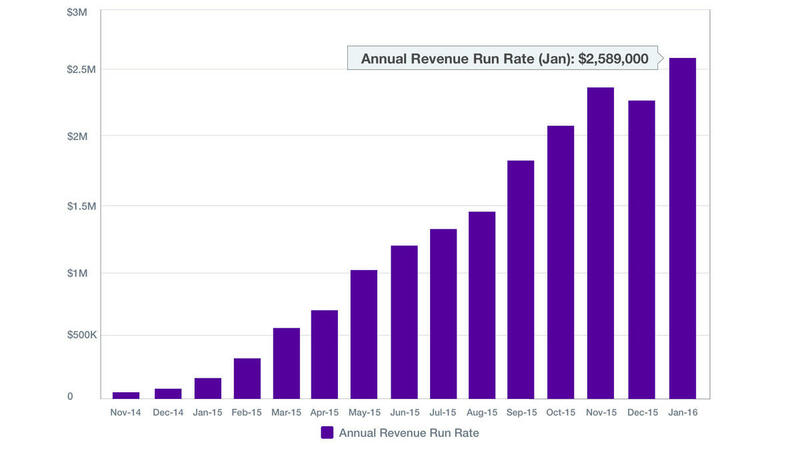 6 $2.5M Annual Revenue Run Rate in NYC alone. Expanding to more cities in 2016. 7 Select investors: Y Combinator, Garry Tan, Paul Buccheit, Alexis Ohanian, 500 Startups. Tom is the former Dir. of Digital Strategy at iAcquire. SEO Strategist at Omnicom Media. He has worked for the Israeli Parliament. Bilingual in English and Hebrew. Chen was recruited out of high school at age 15 by the Israeli army to build their logistics platform. 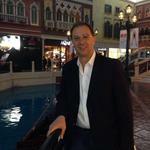 Formerly an engineer for Exzac, Essence Security and Mamram. Itay ran internal operations for the $500M fashion brand Elie Tahari. Business Development at Instinct Technological and Security Operations for the Consulate General of Israel in NYC. Just like Instacart did with groceries and Uber did for transport, Cleanly is using software to simplify a basic chore of city life. Laundry easily takes longer than grocery shopping every week and I’d gladly pay a few bucks to eliminate this headache. This team designed the logistics software that coordinates supplies and troops for the Israeli army. Now they’ve built Cleanly’s system from scratch so turn around is hours not days. This also maximizes deliveries per driver per hour so prices are on par with local shops and they still earn 20%+ contribution margins. Competitor’s prices will rise with skyrocketing city real estate, while Cleany’s costs are insulated in out-of-town facilities. 75% of new users come from word of mouth and 76% pay for Cleanly more than once - so we know customers love it. Now all they’ve got to do is continue their profitable growth strategy - neighborhood by neighborhood - and crowd out competitors that are burning investor money with poor unit economics. Never before have I used a service with such a perfect interface--from the pickup and delivery people to the top-notch customer-service email team to the sleek, friendly app. It's more seamless than Seamless. It's not just that your laundry gets whisked away, washed, dried, pressed, dry-cleaned, delivered. Every time I've had a question or request, they've answered almost instantaneously. I love them and couldn't recommend them more highly! Execution, execution, execution. This is an obvious consumer need that is being filled by one of the most capable execution-oriented teams I've seen. Partner at Y Combinator. Cofounder at Posthaven and Posterous. Early engineer at Palantir. 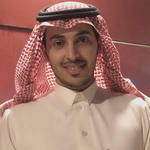 Investor in Cleanly. Great founding team that is OBSESSING over making something people love & simply relentless. Co-Founder Reddit, launched Hipmunk, founded Breadpig and now Y Combinator part-time partner. Co-Founder Reddit (now Executive Chairman), launched Hipmunk as marketing guy (now advisor), founded Breadpig and now Y Combinator part-time partner. Partner at Y-Combinator. Founder of FriendFeed. Creator of Gmail. Investor in Path, Zenefits, and 75 more. Partner at Y Combinator. Cofounder, Posthaven. Co-founder of Posterous (Acquired by Twitter). Early designer / engineering lead at Palantir. 500 Startups is a kind of seed fund and startup accelerator. $200M under management. Invested in over 1,400 companies in more than 50 countries around the world. Market specialist in health and fintech. 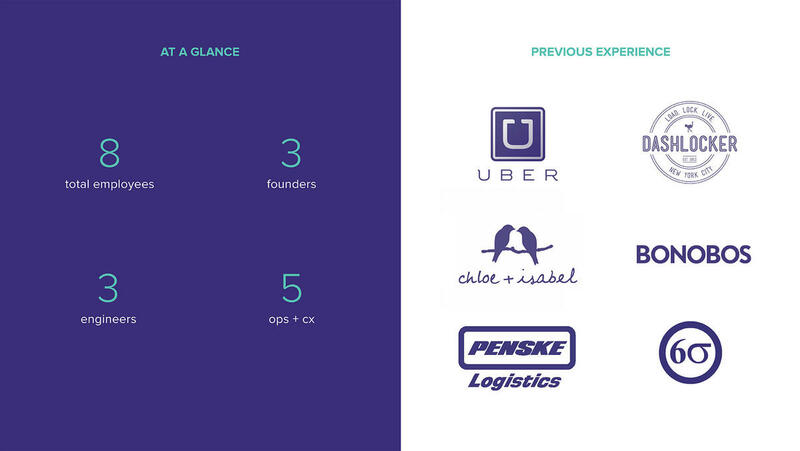 Active Angel investor (Shyp, Signpost, Beepi, ClassPass). 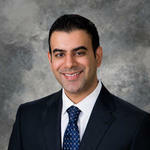 ARIM Technologies, Bhalothakun.com, Director at Founder Institute. CEO at Telenor Health. Cleanly has figured out a unique model that balances competitive pricing with profitable margins. Check out this great article on unit economics of on-demand startups to learn more. Cleanly has grown 38% compounded monthly for 12 months. While they could've grown faster they've chosen to focus expansion to maximize demand density and preserve driver efficiency and in turn their high margins. While only in Manhattan and Brooklyn at the moment they have plans to expand to three more cities this year. The current app has a 4.5 star rating in the App Store. A few key slides. Download the entire pitch deck as a PDF. No company is perfect. The fastest growing startups all have their share of risks and future challenges. The question is whether Tom and his team are addressing them in the right way? Old school laundromats did $14B in revenue last year with almost no software - laundry and dry cleaning hasn’t changed in decades. We still scrounge for quarters, drag our clothes down the sidewalk, lose the claim tag, only to find our favorite shirt ruined. We think most people would rather just press a button and have clean underwear delivered. First we’ll perfect the model in the $1B NYC market before expanding to the 10-15 densest cities in the US and then abroad. What problem does Cleanly solve? This problem is personal - every one of the founders has experienced the acute pain of laundry and dry cleaning in New York City. 85% of all homes and apartments in NYC don’t have a washer or dryer in the unit. Residents are forced to use old fashioned mom and pop cleaners that use arbitrary pricing, rarely have decent service, and often ruin your clothes. These services offer zero accountability. The alternative - doing all your laundry yourself in a laundromat - is a pain. Most people spend at least 8 hours a month doing their laundry; that’s a full day washing, folding, and putting away clothes every four weeks. Cleanly is simply a service that eliminates this headache and saves people time to do other things they actually want to do. How does your price compare to other laundry drop off services? We charge $1.50 per pound for wash and fold. It doesn’t matter how much you send in, there’s no minimum number of pounds or additional fees to separate colors or bleach your whites. We try hard to keep our pricing completely transparent. Mom and pop cleaners typically charge between $0.99 - $1.25 but they also tack on extra charges for bleach and almost always require a minimum poundage. Most of the time our mom and pop competitors really cost $1.30-$1.40 / lb. For dry cleaning we’re well in line with the market price. Finally, we don’t charge any delivery fee and don’t allow tipping. So the price is $1.50 / lb no matter what. How are you able to stay so price competitive? Tell us more about the supply chain. Investors often lump us into other on demand services with poor unit economics. When in fact we’re not really on demand - we operate on schedules much like Instacart does. Customers schedule a one hour window for pick up and drop off in advance. We do it this way for two reasons. One, we can plan driver scheduling and laundry load accordingly which saves us a ton of money. Two, we surveyed customers and they don’t really care about on demand laundry - they’re happy to schedule pickup and delivery in that evening hour they plan to watch TV. There’s rarely a situation where someone needs their laundry picked up in the next 15 minutes. With our system it’s set and forget until the doorbell rings and you hand off your bag of dirty clothes. We’ve also built proprietary technology to automate the laundry process. Our tech automatically sorts clothes in the fulfillment center. It sends customers updates so they can fix anything (e.g. suit needs to be washed and pressed, not just pressed) right from their phone. We also surface wash details like temperature, soap and bleach used, etc., so customers know exactly what is happening to their precious garments. The software also makes things easy for the cleaning partners. The Cleanly software automates batching, sorting, and labeling all via an easy-to-use dashboard that we offer to our cleaners. Drivers then use the same system to route their dropoffs and scan tagged bags to ensure the right clothes are going to the right homes. We’ve built the first software to manage large scale laundry service. We can turn around clothes in 24 hours and our ability to measure and predict demand keeps our costs low and the price on par with the neighborhood cleaners. We rise above the rest for three reasons: the business fundamentals, cleaning quality, and punctual delivery. Other laundry companies have failed because they didn’t solve for driver costs or managing quality assurance at scale. Scheduled delivery allows us to keep drivers busy all the time and labor costs low. We also have a methodical growth strategy rooted in densely populating each new neighborhood with recurring customers before moving on to the next market. It’s really the cleaning quality and reliability that keeps customers coming back. We take a lot of care to find and vet the best cleaners in the city and build quality relationships. Often we quickly become their best customer because of the software we give them and the incredible amount of business we bring in. These vendors become indispensable and exclusivity contracts (that are beneficial for both parties) ensure any competition will have a hard time building a rock solid supply chain in our markets. How reliable are you? Tell us about the routing and driver assignment software. 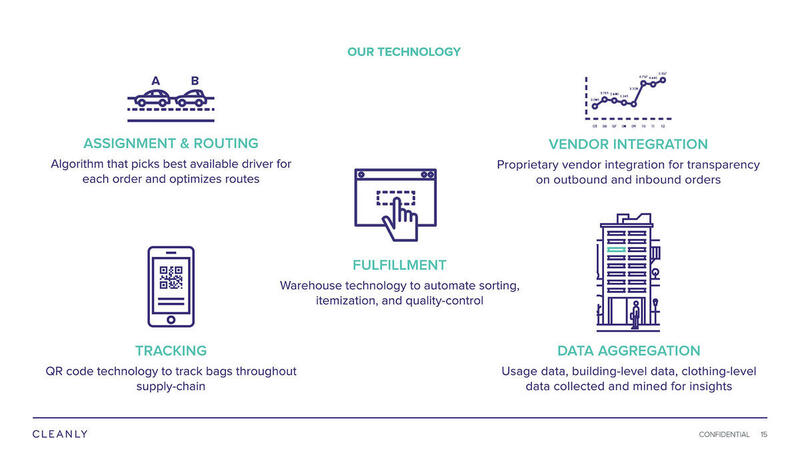 Our proprietary routing software allows us to deliver on time 96% of the time. Only 4/100 deliveries are even a minute late and that can often be because the customer isn’t home when they said they’d be. The software is unique for a few reasons. Assigning the right drivers is more important than routing (there are tons of capable routing programs) and ours is the best out there. The system tracks current workload, car size and capacity, how many bags a driver has at any given time, and their current schedule and traffic data. Housing details are also recorded like stairs or elevator, presence of a doorman, etc. Anything and everything that might affect delivery time is fed into our algorithm. We’re constantly shaving delivery times and making our drivers more efficient. Our primary competition is local and regional cleaners. These mom and pop shops make up the vast majority of the industry and it’s extremely fragmented. 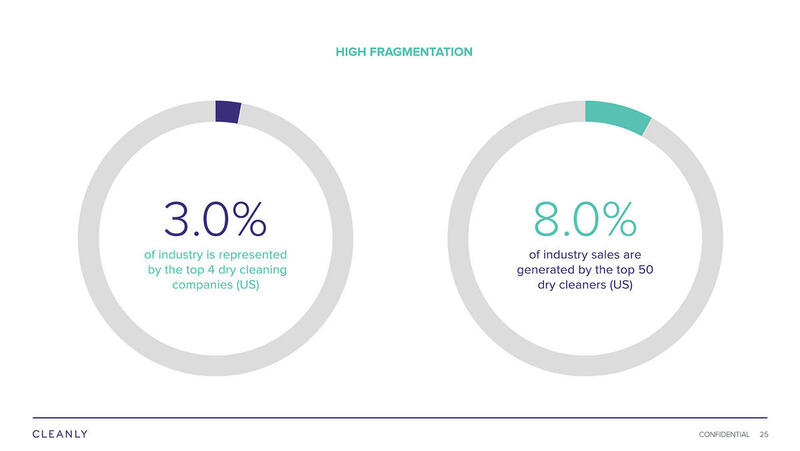 The top 3-4 laundry companies in the country only account for 3% of total industry revenue. We’re consolidating the space with an offering that is as cheap but much more convenient and reliable than the thousands of retail cleaners. There are other startups too like Washio, Fly Cleaners, and Rinse. Each attacks the problem from a different angle. Fly Cleaners is primarily on demand so customers have to wait until the clothes are ready and then hit “come deliver now.” Fly Cleaners also has their own fleet of vehicles which is expensive, inflexible, and extremely difficult to scale. Rinse schedules deliveries like we do but only offer service for two hours per day. While Washio tries to strike a balance with on demand and longer lead times. There is obviously a huge opportunity for convenient garment care. What makes you different than these other guys? Why will you win? Laundry isn’t rocket science but scaling appropriately with the right unit economics to ensure sustained growth is as difficult. The winner in this business will intelligently blend profitable margins with expansion. It’s a hard problem to solve and one competitor already failed. It’s a hard problem to solve and with competitors recently raising prices substantially, it is evident that no one in our space has figured it out just yet. There is less and less tolerance for poor unit economics in these service industries. Investors have rightfully lost appetite for businesses that promise profits at massive scale while burning cash in the meantime. Laundry is even more difficult because we make two trips, one for pickup and one for delivery - cost of transport is double. The winner in this industry will have figured this problem out early. We’ve found a formula to acquire customers and turn them profitable quickly. We see return on customer acquisition within 12 months. Tell us about the economics? We acquire new customers for $30-$55. We make an average of $985 per customer per year so even at the high end of $50 CAC we still return 454% of our acquisition cost in the first year. Customers order on average every 16 days and the average order value is $45. Our software is the difference maker for our margins. Because our drivers are able to complete 4.6 deliveries per hour our contribution margin comes out to ~23% on every order, and we are not even operating at true scale yet. Tell us about the the market? We’ll start from the top down. Just outsourced laundry is a $14B industry. 70% or $9.8B is from households that make over $65k while the other 30% is commercial and low income homes. We’re targeting that 70%. Obviously we need population density to preserve our economics. But we don’t need density like NYC to make a lot of money. We have instances of drivers doing 11 deliveries an hour. If we can continue to get 4 deliveries per hour, we can preserve 20% contribution margins. NYC has ~27k per square mile and we can easily get 8 deliveries per hour here. NYC alone is a $1B market but there are 10-15 other US markets that could easily support Cleanly. Our demographic cares about three things: quality, punctuality, and price. At first glance $0.25 per pound seems like a big difference - but our retention suggests that most people are more than willing to pay that difference for the monumental difference in quality and convenience. Yet, we do recognize that this is a commoditized industry and the best price has a good shot at winning. So we are working hard to scale operation effectively to lower our price. We’re also rolling out several other plans over the next few months at lower price points to capture more of the market. We’re expanding to three additional cities in 2016, with the next one in the next few months. We’re slicing each of these markets into sub geographies based on population density, resident laundromat density and resident dry cleaners. Essentially we’re first going after the affluent dense neighborhoods that don’t have many in unit washer/dryers or nearby retail cleaners. Then expanding out into the rest of the city from there. Step-by-step expansion is based on our experience here in Brooklyn. We’ve thoroughly tested the process to launch a new zip code, e.g. drivers needed on day one, on day ten, how many vendors we need to contact to statistically find the best, and the entire timeline to fill supply. To ensure we’re maximizing labor for the cost we consciously keep our supply as dense as possible for as long as possible before methodically adding new neighborhoods and eventually an entire city. New York is absolutely our number one priority at the moment - we need to dominate here and it’s absolutely the best training ground for other markets. Realistically we’ll move on to our other priorities in Q2 and Q3 of this year. We grew revenue 16x in the first year with a compound monthly growth rate of 30%. 75% of new customers came to us organically or by word-of-mouth. While more than 76% of our customers go on to order more than once and we get a long stabilization at 50%. 50% of repeat users continue to use Cleanly indefinitely. You mentioned this is the first product in a grand vision. Can you expound on that vision? In the short term we plan to add basic household needs and services like shoe repair and alterations. These are urban needs with high demand but relatively poor options. We already have the logistics software in place now it’s just a matter of finding vendors to fulfill the orders and building out the front end software. At our core, we’re a logistics company here to make your lives easier. We love solving the problem of moving things around the city and effectively making the system more efficient. The software we built for laundry is the bedrock of this future - one in which we orchestrate all sorts of pick ups and deliveries in any given urban area. Once we tap the full revenue potential of laundry we’ll expand our software to solve other industries. The goal is to become the operating system for your closet. That includes everything from clothing storage to amassing the the first dataset on clothing preference ever. Eventually we’ll be able to personalize shopping recommendation to consumers based on what’s currently in their closet. Who is the team to make this happen? Chen Atlas, Itay Forer, and myself. Chen is our CTO. He was recruited out of high school for an elite computer engineering unit in the military. During his military service he built logistics and supply chain systems for the Israeli army that tracked and coordinated the movement of supplies for the Israeli armed forces. Itay and I have been friends for a long time. Before this he ran internal operations at Elie Tahari which is a global fashion brand here in NYC with ~$500 million in revenue. My background is in digital marketing. I was director at an agency in New York and before that I worked for Omnicom Media Group which is a large, global ad agency. I did a lot of consulting for Fortune 500 companies on using search as an acquisition channel. What are the risks? What problems do you still have to solve? We know we’ve gotten product market fit, we’ve solved for 20+% contribution margins, and the we built the logistics software ourselves so there isn’t much tech risk. There is certainly expansion risk - we haven’t proven that we can expand to entirely new cities. There is always the possibility that some competitor pops up out of nowhere with a monster VC round and prices us completely out of the market. On a macro scale we could be affected by economic downturn (our product is a luxury for some) or by rising minimum wages that would impact the price of our cleaning vendors. Cleanly is conducting a Regulation D offering via Wefunder Advisors LLC. CRD Number: #167803. 30years(1986-2015) of experience in Business Innovation,Product strategy ,CEO of multibillion USD businesses , 3 X Start up management. UPPER EAST SIDE - New Yorkers have better things to do than laundry. That's the premise behind Cleanly, a new laundry and dry-cleaning delivery service powered through a mobile app that its creators are planning to roll out on the Upper East Side next month. Just think of it as the UBER of laundry. A Brooklyn entrepreneur has launched a cleaning service for the smartphone set that allows those sick of schlepping their bags of dirty clothes a more genteel option. 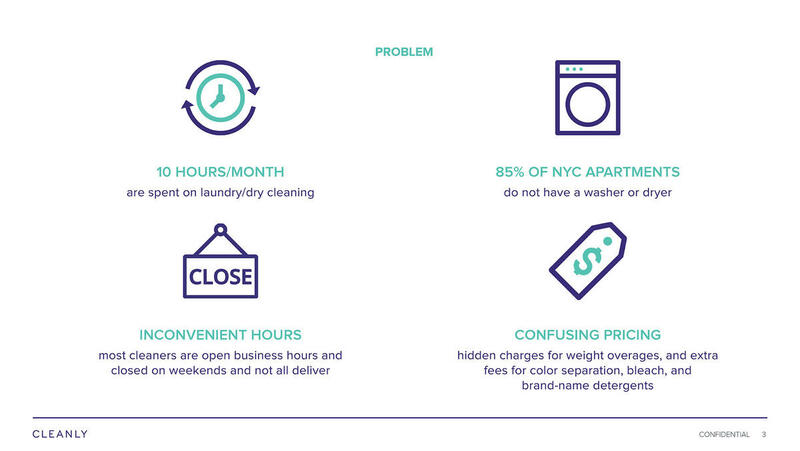 Enter Cleanly, a just-launched laundry and dry cleaning delivery service that lets busy New Yorkers schedule pickup and delivery of all their soiled clothes. Cleanly’s team has a background in logistics and delivery, and has built the Cleanly service in a way that collects data about parking, the type of building, the floor you live on and more so that drivers can be as efficient as possible. We have smart watches and smart washing machines and smart phones, but if you live in New York, chances are you’re still doing laundry like a college student who just moved to the big city. 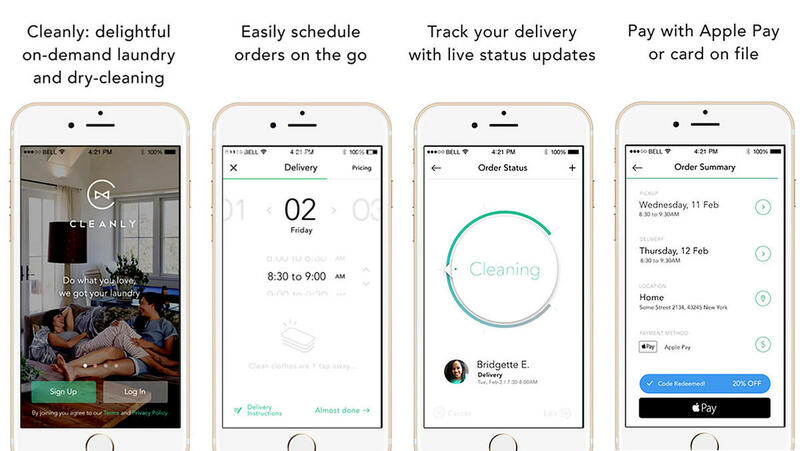 Cleanly envisions a world in which the user shouldn’t have to drag their stuff to the local cleaners or even haggle over the phone about the pick-up/delivery schedule. Laundry. On the list of the most excellent things in life, it... doesn't exist. Hence Cleanly, a new app where your laundry gets done without you doing any work, now available for iPhone. One thing to get out of the way-they're only doing this on the Upper East and West sides right now, but any day now they'll be all over. Hence Cleanly, a new app where your laundry gets done without you doing any work, now available for iPhone. 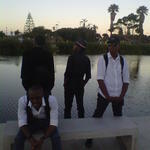 Provided by Cleanly. Soon customers in Park Slope, Carroll Gardens, Boerum Hill and up through Brooklyn Heights will be able to manage their laundry delivery service via an iOS app, by way of Cleanly . The service will expand there in next two to four weeks, Tom Harari , the CEO, told Technically Brooklyn.